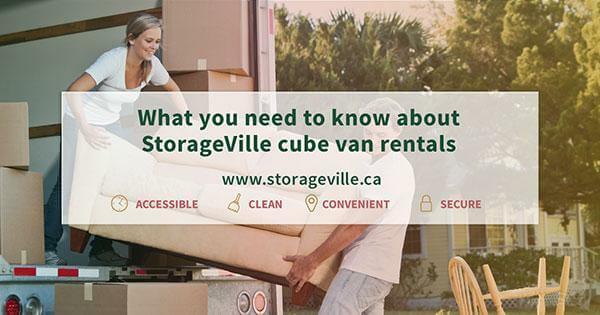 StorageVille is Winnipeg's self-storage solution expert – get your advice from the pros! 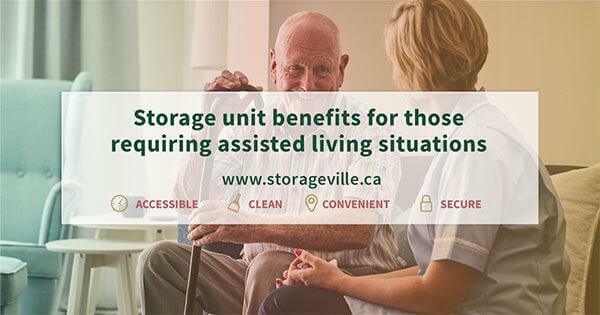 StorageVilleSelf-Storage TipsSelf Storage BenefitsHow can self storage assist during life’s unexpected events? How can self storage assist during life’s unexpected events? 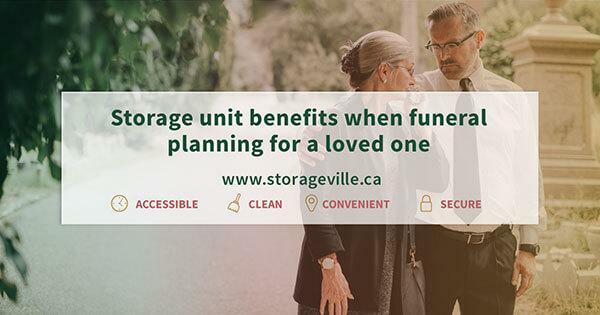 At StorageVille, we make it our mission to be there for you – when you need storage – for any situation life might throw your way. 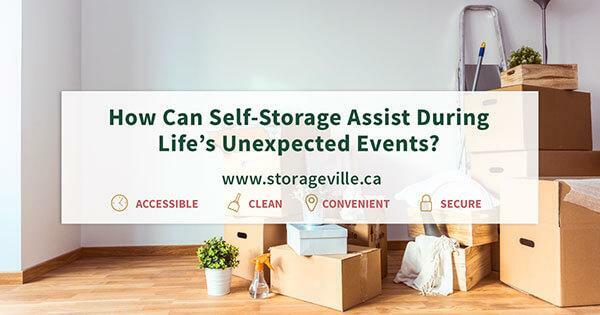 To wrap up our three-part series of “Augment your life events with self storage” we will take a deeper look at “how self storage can assist during life’s unexpected events“. And now, without further ado, we will dive into this month’s topic. We will start by defining what type of events could fall into the category of “unexpected“. We will examine themes around career, marriage, end of life and beginning of life. While some of the events can be planned for – they often bring a massive change in one’s life – and these changes can sometimes be unexpected. When your career calls for it – relocation for your job can mean benefits financially, and often is associated with a promotion within the company. However, to this point, you have put down roots in your community and have many material possessions. You want to ensure stability at your new posting, before hauling all your belongings – especially the items you rarely use. As well, the relocation position could also be a temporary move for focused around career growth, with a plan to return to Winnipeg after the job is done. While selling some can help in this regard – many of your most valued things have substantial sentimental value. What should you do with them? While you’re setting up shop within the city you’ve been transplanted to, store your stuff with us. As you are familiarizing yourself with your new environment, your new position at work – we will keep your belongings safe and secure. Along with knowing your belongings are safe and secure, having them in storage affords you additional options. You will be able to sell your home faster and for a better price without the clutter. If you’re planning to return, perhaps renting your home an option you might consider. No matter your living situation, apartment or house, using self storage will give you some time during the transition. Many individuals feel that a job loss is one of the worst things that can happen to them. But, should this happen to you, take a different angle on it. Look at it as an opportunity and focus on your success at whatever you do next. How could having a self storage unit in this situation help? If you’re on the hunt for a job, you may end up looking outside of Winnipeg, to other opportunities. Again, the relocation aspect of proceeding in this manner could come up. The other way a self-storage unit can help should you decide to use this opportunity to start that business you’ve always dreamed of. To become your own boss and your new focus on entrepreneurship will require some space. To get your start-up off the ground, you might want to use your home as your headquarters. Trust us; you will need space. Utilize the convenience of self storage to clear a space for your home office today. Learn more about how self storage can make your business better from our previous article. Divorce and separation is another stressful situation, affecting all members of your family. Whether you and your partner are separating on mutual terms or if your divorce requires intervention from lawyers – self storage can help. Likely, either you or your spouse will need to leave the primary family home. Often, this results in some nights at a family member’s place, hotel or by renting an apartment. Space in any of these situations will be tight. You still want access to your belongings while the situation is sorted out. How self storage can make your divorce easier? Self storage can be a perfect solution for this – your belongings will be safe and secure. Along with that, they will also be accessible, as our gate access is 6:00 AM to 11:00 PM. Finally, our two Winnipeg locations are second to none regarding convenience. As well, we make it easy to move their belongings to our storage facilities. 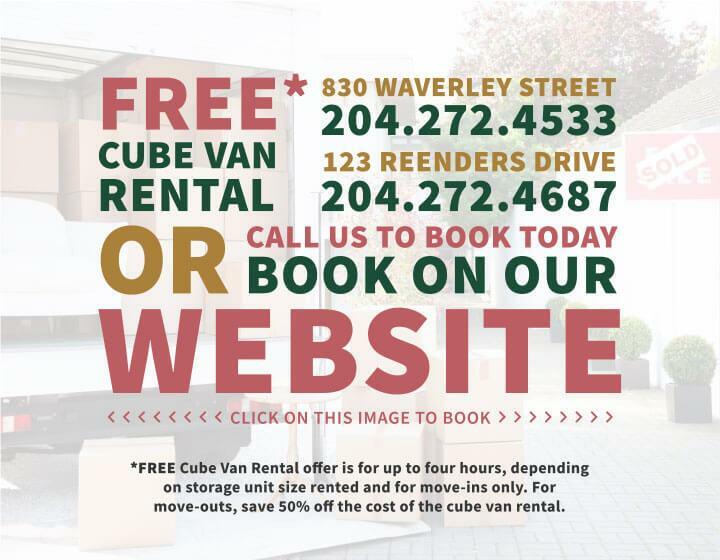 Ask us about our free cube van – included with any self storage rental. When a family member passes, it can truly be an unexpected event. During this time there will be many decisions required if you are the next of kin or the executor of their will. Along with planning of a funeral, there will be added stress to sort through one’s life’s worth of possessions. We recommend approaching a loved one’s belongings after the funeral has taken place. Using self storage will have given you time to grieve. It will have also reduced the number of decisions required to make. 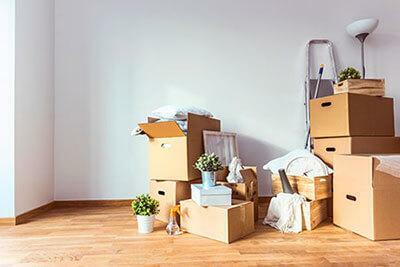 You’ll only have to make one decision with their stuff – put it into a storage unit until you can sort it out. After the funeral, you can visit our self storage unit facilities as frequently as you need to. Work through the process of sorting out their things. Take the opportunity to do this after the funeral will give you clarity for the decisions to be made on what to keep and what to give away. While this typically isn’t an unexpected life event, starting a family will change your life in unexpected ways. If you need extra space for your first born’s nursery – our self storage solutions are there for you. 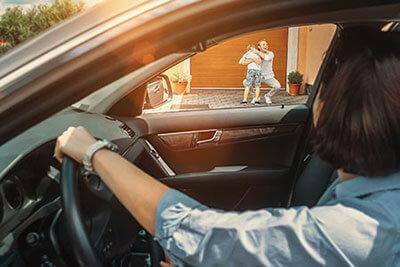 If your three bedroom home is bursting at the seams and a third child is on the way – our self storage units have your back. Using our self storage units during the transition of adding your family member will allow you to enjoy the experience, as you won’t stress about space. Soak this in and store your stuff in our secure and safe facility. If this is your first born and you’re setting up a nursery in your home, store your extra furniture with us. Should you already be a seasoned pro, but need the additional space for your new arrival, use our storage lockers to tuck away future hand-me-downs. Finally, take advantage of our temperature controlled self storage units and stash those keepsakes away for years to come. To the opposite of welcoming your additions, at your point in life, you might be looking at an emptier nest. Maybe your child is enrolled in a post-secondary institute. They would need a place to store their dorm essentials during the summer months. Don’t clutter your home – our self storage units are the perfect solution for their needs. Could this be the perfect time to make changes to your living arrangements – either by selling or renovating your home? Be sure to visit our article on “benefits of self storage during selling, moving, and renovating“. No matter what life has in store for you; whether you are selling, moving or renovating your home, starting a small business, or proceeding through one of the many transitions listed in this article – we know you have stuff. At StorageVille, we can give you peace of mind and our self storage solutions are perfect for many applications. Start reducing your stress and freeing up space within your surroundings – call us today. Choose the location that best suits your needs; for 123 Reenders Drive call, 204.272.4687 or 830 Waverley Street call, 204.272.4533. Each of our two Winnipeg self storage facilities is staffed with friendly, informative self storage experts – ready to answer any questions you have.